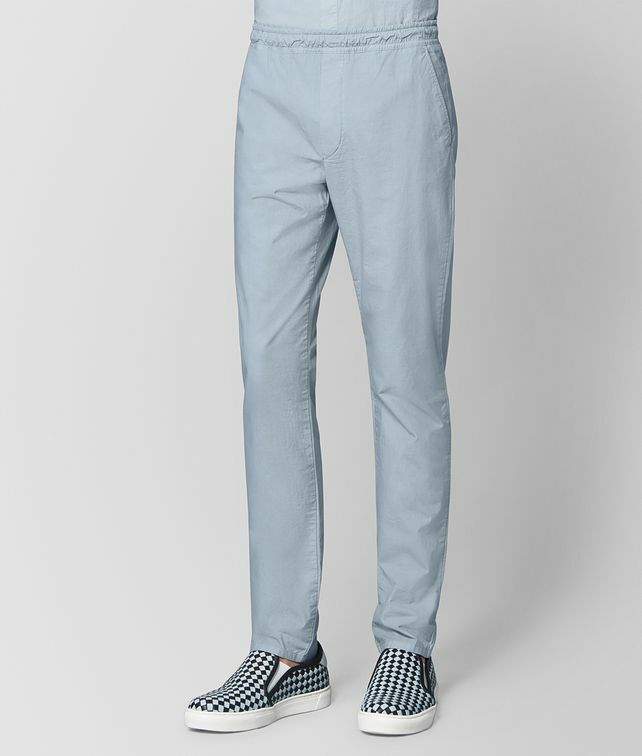 This slim trouser is tailored from polished but summery washed-cotton denim. The refined pair has a flat-front silhouette with slash pockets and an elasticated waistband. Pair it with the coordinating jacket for a modern take on the suit.